Discussion in 'Wanted' started by texasSlick, Jan 21, 2019. Need one (1) Number 4 BA brass nut as used on Lucas Ammeters. I don't have the brass nut that you need but if you require any pop rivets, then boy oh boy am I your guy. Due to a recent windfall I am pop rivet phat. I think I have what you're looking for however, the brass nuts that are used in my Lucas motorcycle ammeters are #2 BA. If that is what you are looking for, private message me your address and I will send the nut to you. #4BA are about 0.142" outside thread diameter (as measured over a screw). #2BA are 0.185" outside thread diameter. If you would measure what you have, report back, then we will take it from there. The brass nut that came off my ammeter is definitely a #2BA. However, I do have a zinc plated steel #4BA nut that you can have. 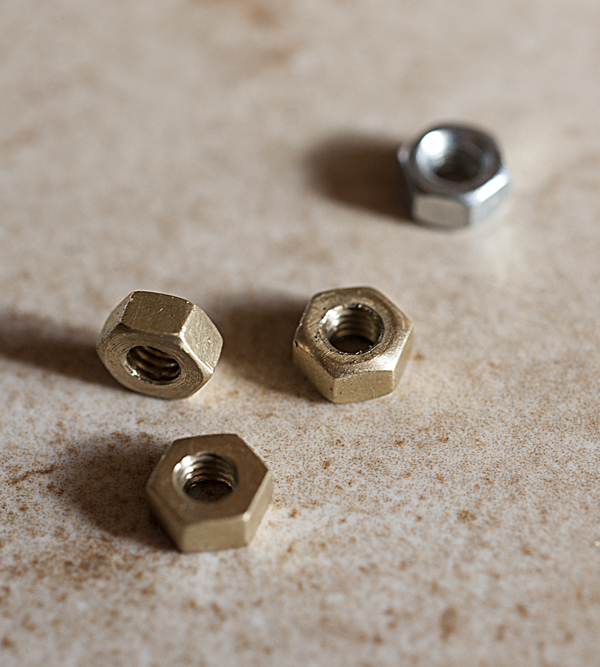 If this nut is going to be used for mounting the ammeter as an option you can get brass 4-40 thread thumb nuts from McMaster Carr and redrill and tap the nut for a #4BA. The nut is for the electrical stud on the ammeter and should be brass. I can get #4BA zinc plated steel from British Fasteners, but not brass. I can get 25 brass #4BA from the UK for about $8 plus another $8 for shipping ...... makes for a very expensive nut. And having 24 additional nuts in my inventory that I will likely never use will aggravate me. I will keep looking. Maybe I will find the da#m nut I dropped on the floor which rolled into some cranny. And yes, I can tap out a 4-40 or 6-32 brass nut. The nut is cheap, but a 4BA tap plus shipping will be about the same as 25 nuts from the UK, and a tapped out nut is a bodge. I really appreciate your attention to helping me in this issue. Thanks again. Yes, I will gratefully take one, or two for a spare! PM with snail mail address sent!